We take our time to understand the issues you have affecting your body. Welcome to ATL Colorectal Surgery P.C. It is the mission of ATL Colorectal Surgery to provide the best quality health care to our patients and their families in a safe and compassionate environment, utilizing the most up-to-date operative techniques and technological resources. We respect everyone in our diverse community, and treat each individual with dignity. We uphold the highest standards of ethics, professionalism, and personal responsibility, worthy of the trust our patients place in us. Laura Williams would love to push "rewind," and get the routine colonoscopy she says she put off for years. "That's my biggest regret, is that I didn't do my screening," Williams says. "Because I let the fear of it, and the horror stories of the prep and everything, stop me. I was, like, 'I'm not going to do that, I'm not going to do that.'" 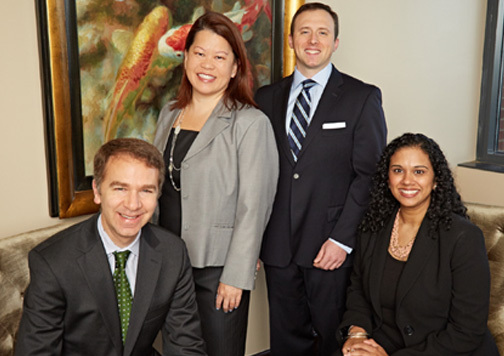 Specializing only in the care of your colon and rectal health, ATL Colorectal Surgery PC was founded to deliver high quality, diligent care in a comfortable, approachable atmosphere. Because we are specialists, we are sensitive to the fact that these private parts of the body may be difficult to talk about. We take our time to understand the issues you have affecting your body. We listen carefully to your concerns and will review your medical records to build a personal treatment plan. Our compassionate and dedicated staff work hard to minimize anxiety to obtain the best medical outcome for you. We provide access to the best colorectal care Atlanta has to offer. You may reach us at (404) 574-5820 for any questions or to schedule an appointment. ATL Colorectal Surgery is located within the Piedmont Hospital complex. Please be sure to visit our contact us page for directions to our office. We look forward to caring for you. Please call our office at 404.574.5820 if you have any questions or to schedule an appointment.